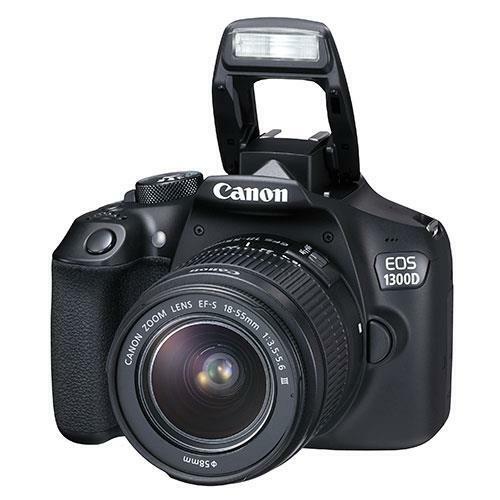 The Canon 1300D is one of the best DSLR cameras for beginner photographers who are looking for DSLR quality and manual control in a lightweight and approachable package. Featuring an 18-megapixel APS-C CMOS sensor, the Canon 1300D can produce quality prints up to A2 size. 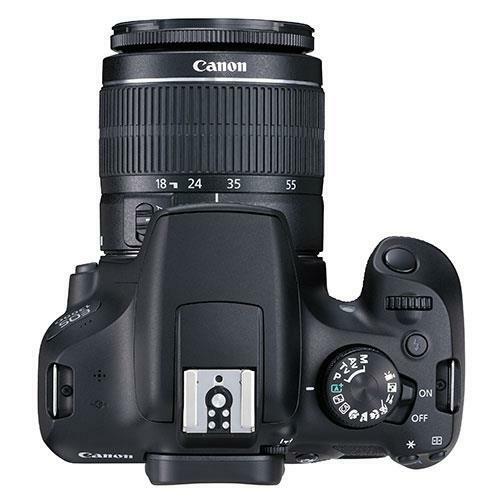 Anyone keen to explore broad range of photography styles, including portrait photography, action or sports photography, events, wildlife and landscapes, would do well to consider this DSLR camera. Designed to place DSLR quality in the hands of aspiring photographers without being too intimidating, the Canon 1300D has some great in-camera filter modes to make it easier for people to get creative. Creative Filters include automatic settings to for food photography, sports photography, night time portraits and capturing close-up details. But one of the best things about this beginner DSLR is that users can begin to explore manual controls as they grow in confidence. 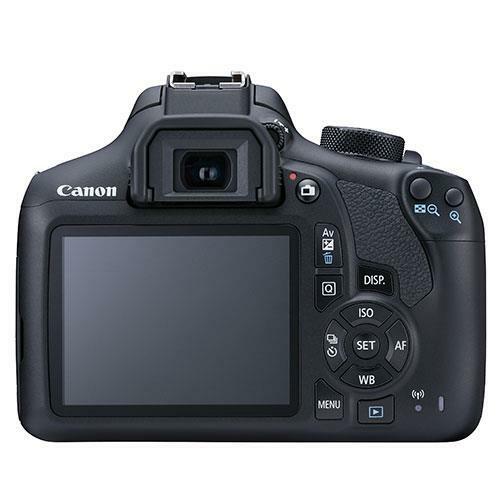 Photographers can either use the optical viewfinder of the Canon 1300D or alternatively, they can use the camera’s 3.0” (7.7cm) LCD screen. 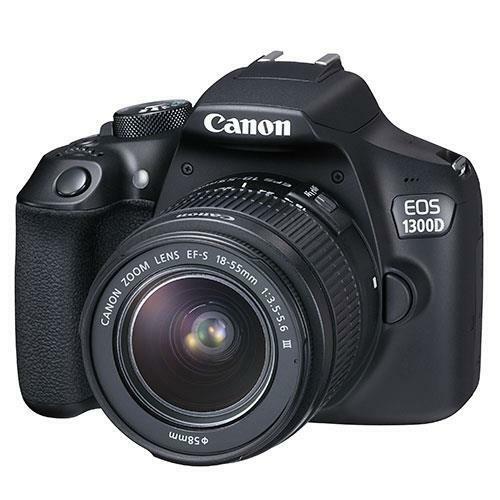 If you’d like to create impactful pictures with beautiful background blur, the Canon 1300D is a fantastic DSLR camera to get started with. Canon’s handy Canon Photo Companion App makes it possible to control the 1300D remotely and connect it to the Canon Connect Station content hub or to compatible Android and Apple iOS devices via Wi-Fi or NFC for seamless photo sharing. But the app is also packed full of expert tips to help users get more out of their cameras and images to provide creative inspiration. If you’re interested in shooting videos the 1300D is a solid choice. It records detailed Full HD resolution video in MP4 format, ideal for sharing on social media. It also features a handy Video Snapshot mode that will allow users to capture and combine video clips into one video sequence, all within the camera. The Video Snapshot feature provides an easy way to create videos of precious moments and special occasions. Although one of the most basic lenses in the Canon EF-S lens lineup, the 18-55mm has an aperture range of f/3.5-f/5.6 and offers a great working focal length for everyday use. Whether you’re in a small space taking pictures of friends and family or outdoors capturing landscape shots, this is one of the best lenses for beginner photographers to help them get comfortable with taking pictures on a DSLR. 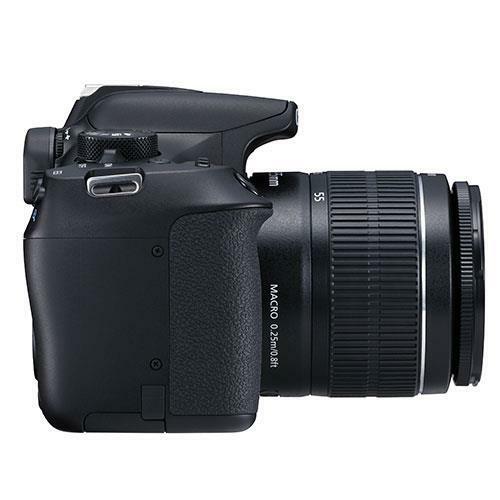 The Canon EF-S 18-55mm f/3.5-5.6 DC III lens is compact, well-built and lightweight. 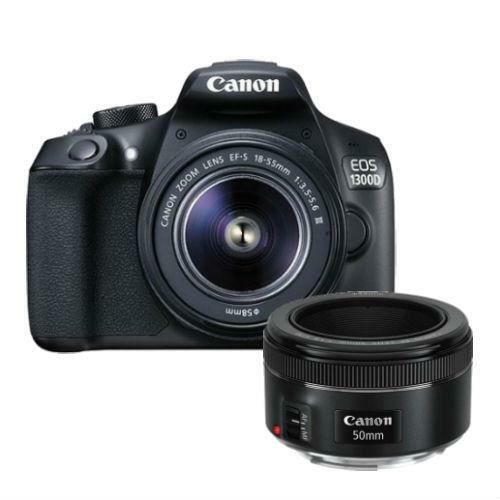 The Canon EF 50mm f/1.8 STM focuses on subjects quickly and quietly whether capturing stills or video recording. When paired with one of Canon’s latest DSLR cameras, the EF 50mm f/1.8 STM provides quick continuous focusing, delivering smooth results without making too much noise that could ruin your videos. Featuring a metal EF mount and stepper motor, the latest Canon EF 50mm f/1.8 STM offers great value for money for anyone keen to add a quality lens to their collection that will certainly get a lot of use. 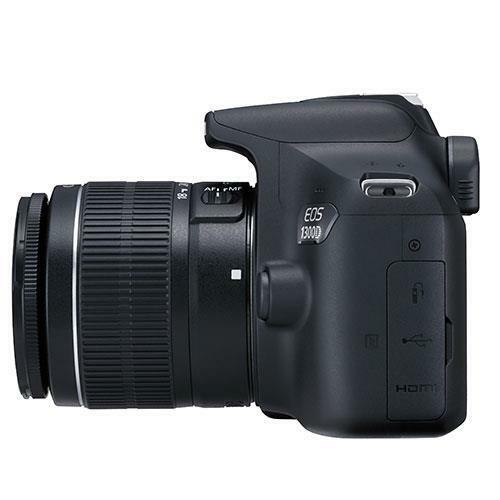 However, it is worth bearing in mind that the EF 50mm f/1.8 STM will reproduce an 80mm equivalent focal length on a cropped sensor camera like the 1300D.